Make a perfect chocolate gift! 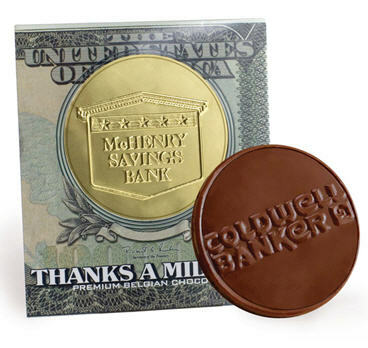 Get our award-winning 3-inch Large Custom Chocolate Coins packed in exclusive themed sleeves. We offer you a choice of 4 unique designs. Your clients and guests are sure to be blown away by this exceptional souvenir.